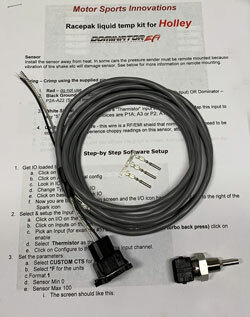 These sensor kits will work on virtually any EFI or data system. 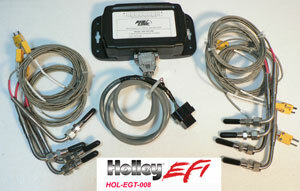 Many have been installed on Fueltech, AEM, XFI and others. Kits with 8 magnet collars available below. 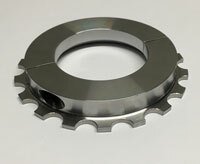 8 Mag collars are available in 1.812, 1.875, 2.125 and 2.187 sizes. 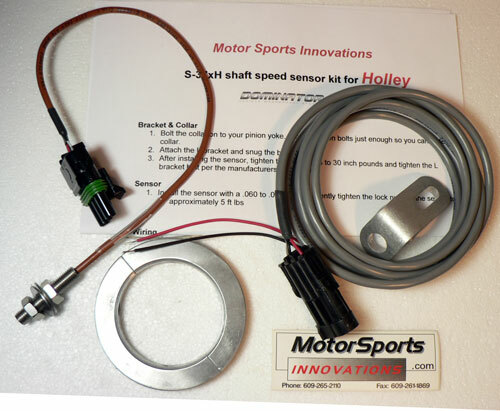 2 Magnet collars are available for 1.5" which is the slip yoke size for Power glide and TH350 $170 for that kit. Other 2 magnet sizes are shown here. Kits without collar available below. 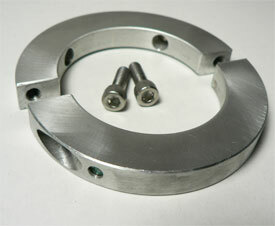 1.250" collar can be machined by you to any size up to 2.400". Get a Strange yoke for 1350 and their collar. 8 magnet and 16 lug for better resolution below. more pulses = better resolution. Complete with special sensor. Yes you can remove any number of magnets. And yes, it's common on 12 bolts, Dana's and 9" Fords with stock yokes to open up the hole to some unusual size/shape. It's not a crankshaft - if you keep it within .050 of straight/round, your sensor will see the magnet. 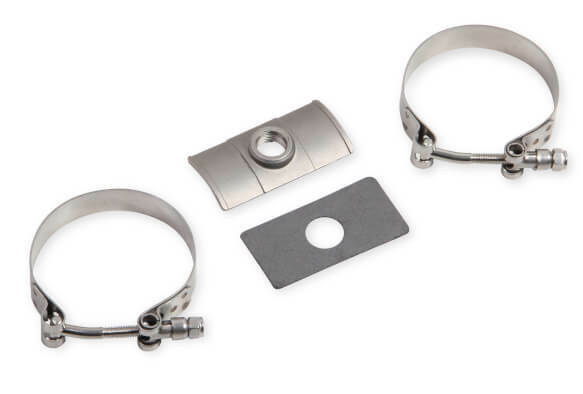 Includes 4 magnets and stainless hardware. Get good wheel speed readings from the hit. 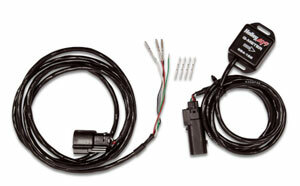 works with Racepak V300SD / Sportsman, most EFI systems and traction control units. 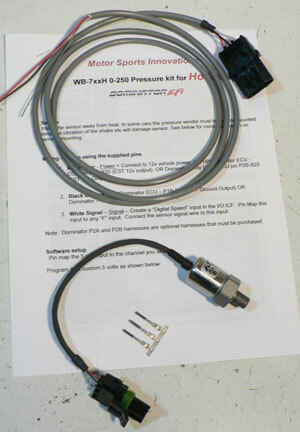 Requires a metal sensing Hall Effect sensor (see above). Can use Racepak MSC3 sensor. 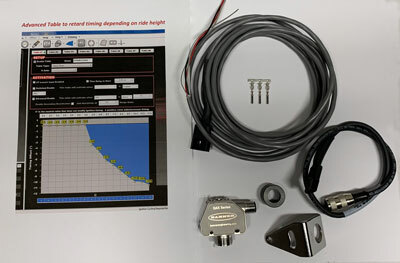 5/16" metal sensing Hall Effect sensor for 16 lug collars and other metal sensing applications No connector. 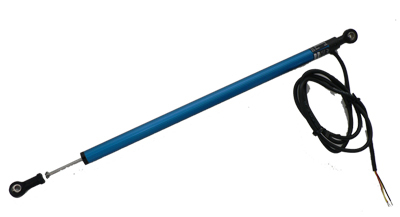 5-19 volt power. 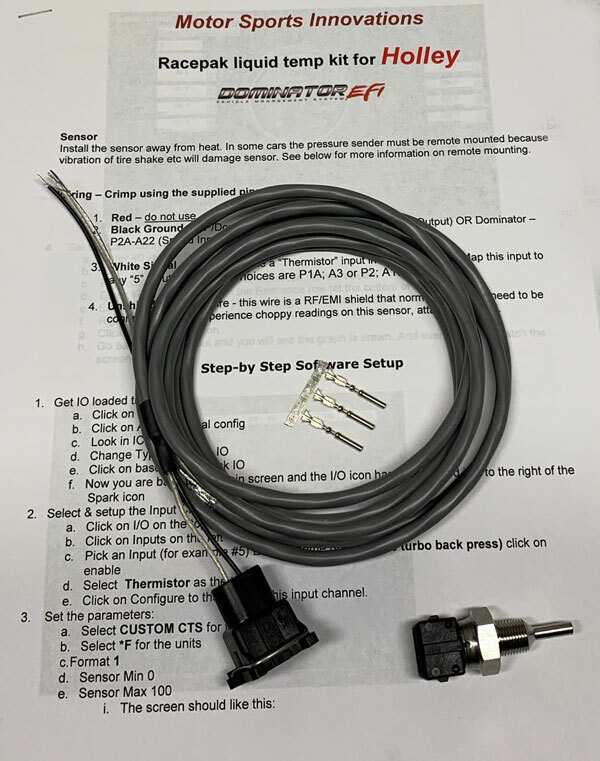 Uses EV1 connector for easy field repair. Threaded area 7/16", probe 1/2"
Compressed length (rod end centers) 14 3/4"
Compressed length (rod end centers) 9 1/2"
Extended length (rod end centers) 13 1/2"
This is a kit - you must assemble the weatherpak and make mounts. specify what range in the check-out note. 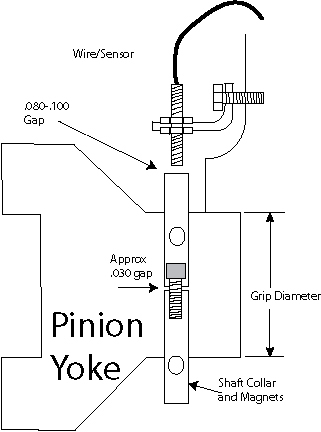 Pressure sensors should not be mounted in engine block. Adapters available to mate to Racepak weld bungs. Cable with J4 plug is 36" total length so box must be mounted flat and within 36" of the ECU. Sensor cable lengths are 6'. add $40 for Racepak style SS bungs. 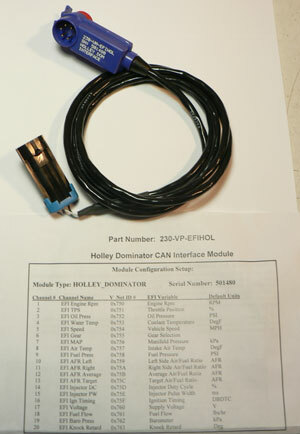 Plug-and-Play: I program the dash to display the RPM, Water temp, oil pressure, fuel pressure and volts from the Holley. 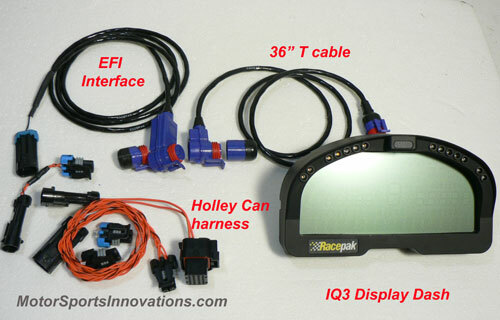 You can add a Racepak bottle pressure and have it on the dash as well.